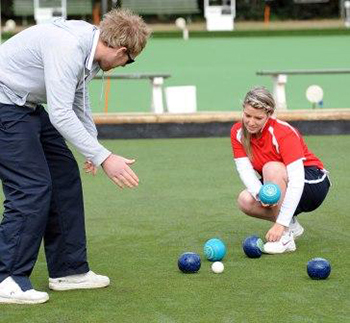 This year Bowls BC has been working hard to provide its members with new programs to help further develop skills in the areas of Coaching, Officiating and Player Development. These clinics will be continued throughout the year and will continue to be part of the program in the future. Simply put we need more Coaches and Umpires. More Coaches can help develop new players, which we need to grow the Sport and more Umpires are needed for tournaments throughout the Province and Country. We have seen members from across the Province participating in the seminars to learn more about each vertical. They have been a huge success, so much that Bowls BC has added a few more. Vancouver & District = 8. Clinics conducted by John Speers. level 1 coaches. This should bring our total for 2016 to 40 new coaches. 22 new umpires certified in 2016 for all zones. Markers course to be conducted by George Cubiss to get ready for 2016 National singles to be held at West Vancouver LBC. We are expecting another 15 participants by the end of the season for a total of 70. BC is expecting 14 Juniors & Under 25’s to compete for BC at the Junior/U25 Nationals being held at North Vancouver this August. We would like to thank all of the Clubs, Volunteers and Participants who have come forward to be a part these clinics as its a vital part of development for the Sport of Lawn Bowls.